The team at K&R Dental treats patients of all ages, including the youngest members of your family. We provide a friendly, comfortable and fun experience for kids starting from around age 2, which is when we recommend they have their first checkup. 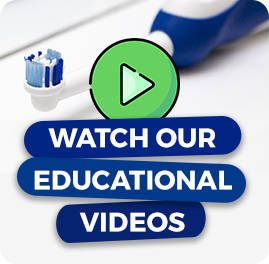 Routine examinations and cleanings – By evaluating their oral health periodically, we can identify potential problems early on and avoid more complicated or costly treatment in the future. 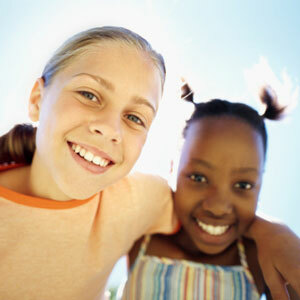 We’ll also talk to them about brushing and flossing so that they understand their role in preserving their oral health. Custom mouthguards – An injury to the mouth or jaw during sport can be devastating. By wearing a custom-fabricated mouthguard, your child won’t be risking their oral health to accident or trauma. Fillings – When dental decay occurs, a filling can be applied to restore the health of the tooth. These fillings are the same colour as existing teeth to blend in perfectly. Orthodontic evaluations – With regular checkups, we can effectively monitor the development of your child’s bite. If we identify the need for orthodontic treatment, we’ll discuss what can be done to keep their teeth straight and healthy. Fissure sealants – In the back teeth, deep grooves and pits are present that make it easy for food particles to collect and bacteria to breed. They’re usually the first teeth to decay. Applying a sealant gives a measure of protection and makes them easier to clean with brushing. Fluoride treatments – Fluoride helps teeth stay resistant to decay. With a concentrated application of fluoride, we can prevent caries and reverse any signs of early demineralisation. Contact us today to book a time for children’s dentistry Lavington! We work with the Child Dental Benefits Schedule.